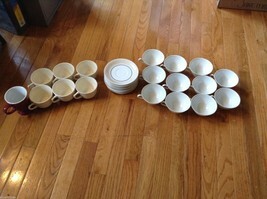 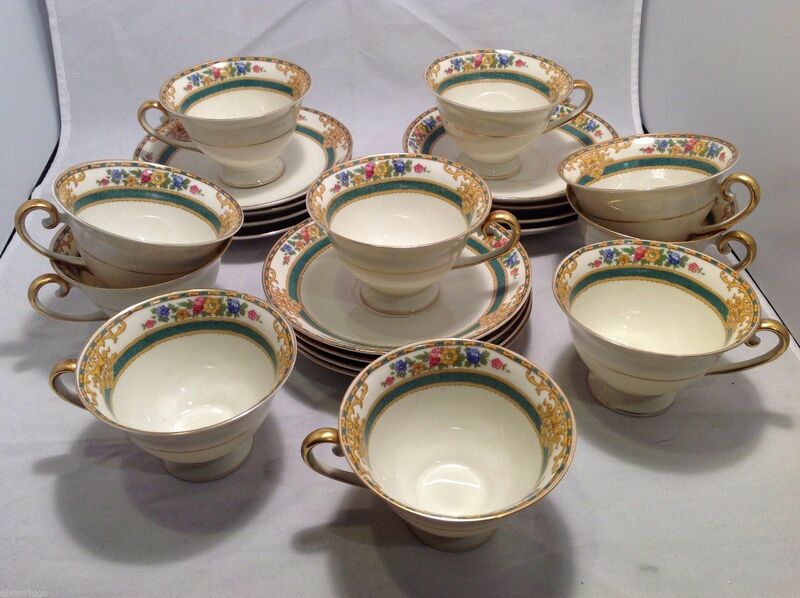 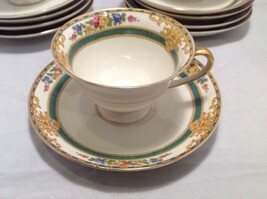 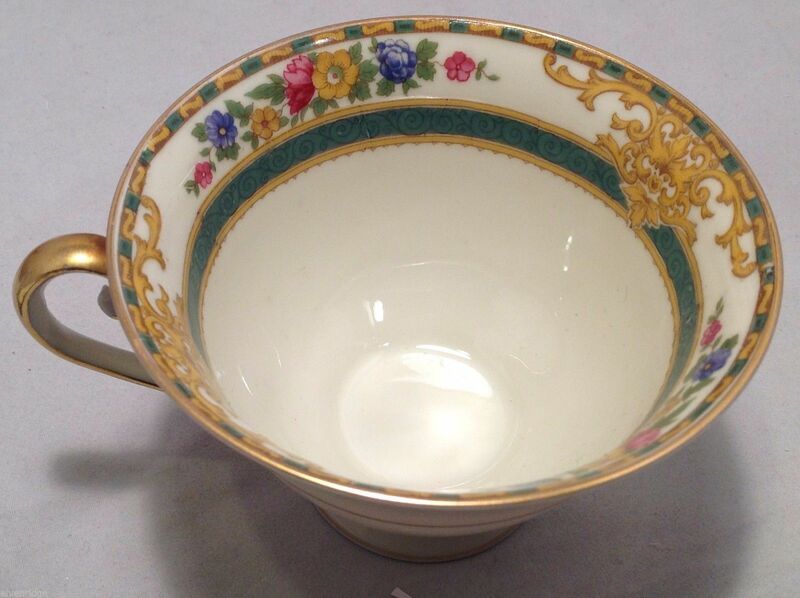 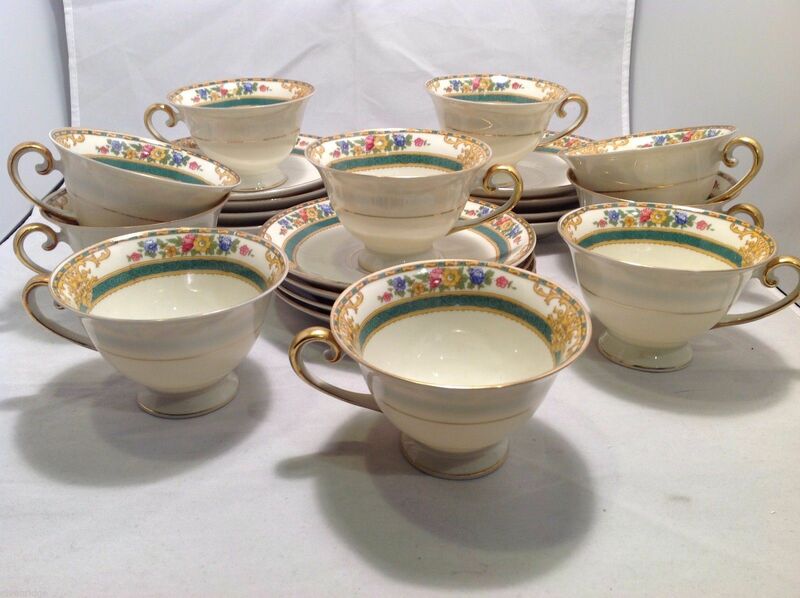 This is a listing for a Set of 10 Tea cups and 12 Saucers from Bavaria. 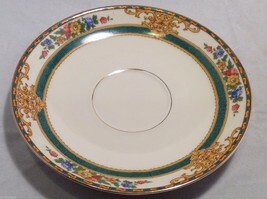 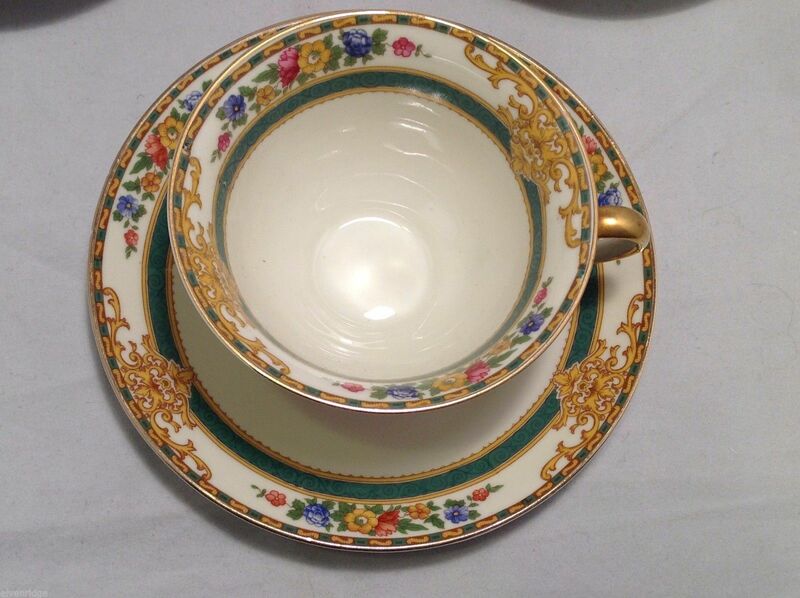 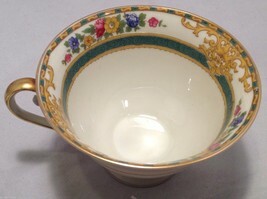 It is white China with gold borders and multicolored flowers. 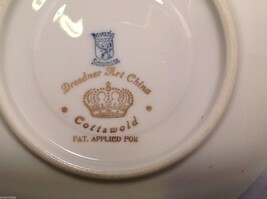 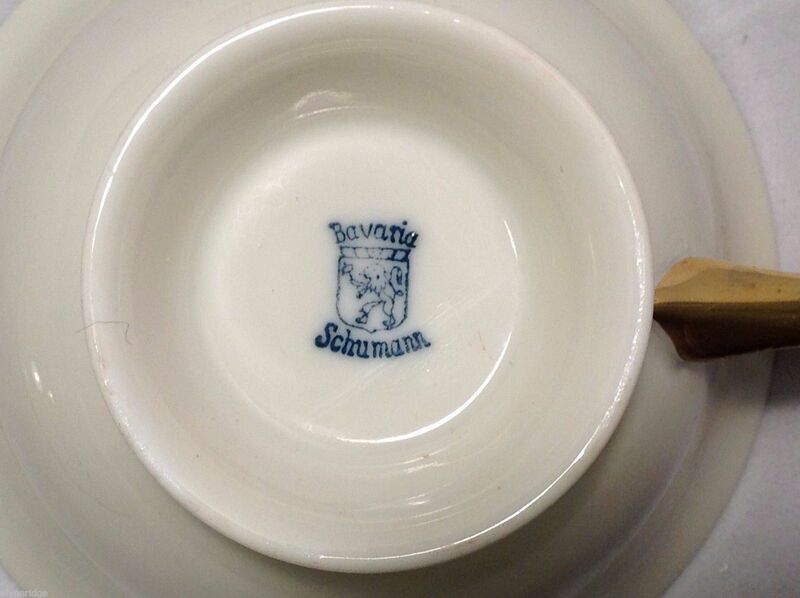 The bottom says "Dresdner Art China Cottswold Bavaria Schumann". 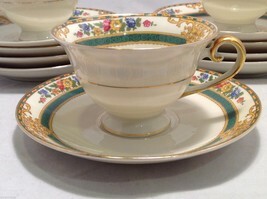 The cups have gold metallic paint on the handles. 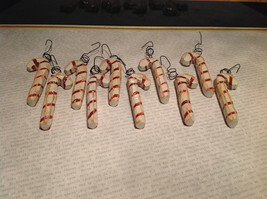 Cups measure 2 1/2" x 4 3/4" x 4" and the saucers 1" with a 6" diameter. 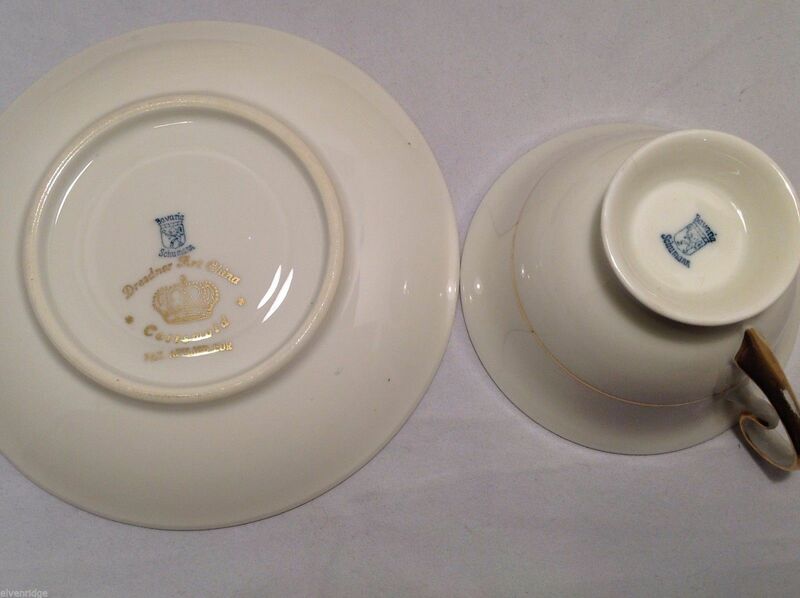 Of historical note, quite certain this is part of a set that my grandmother used to serve and entertain Prince Charles, when he visited her home while in the Royal Navy. 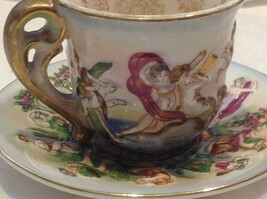 Write if you are interested in any of the particulars of the story.